As you are no doubt aware, friends, 2014 has been something of a tumultuous year for fans of Disney theme parks. Please bear with me as I briefly summarize two cases where the wounds are still fresh. 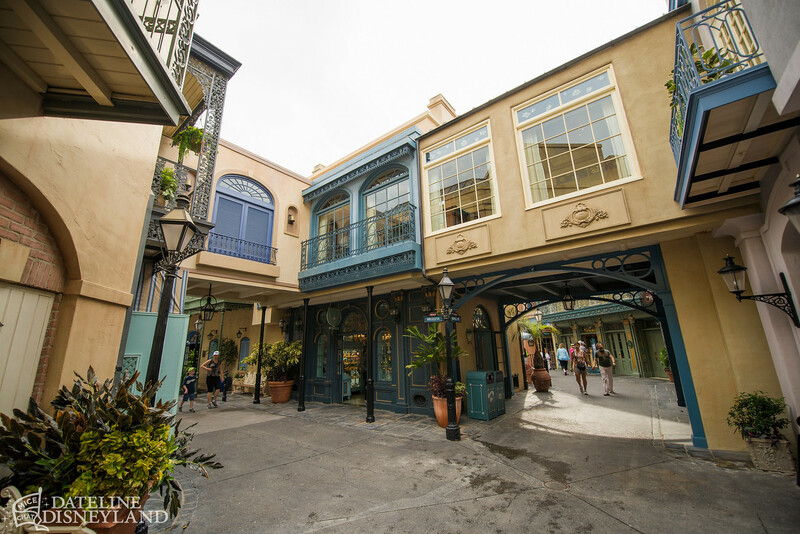 In Anaheim, an expansion of Club 33 made significant and controversial changes to Disneyland’s New Orleans Square. We saw the original entrance door fall into disuse and the original lobby stripped bare and converted into a merchandise storage room. We saw the French lift (custom-built by WED after Walt saw an antique one during a trip to Paris) get taken out of service and converted into a depressing table-for-one. We saw the original logo replaced with a (largely unpopular) new logo. We saw the trophy room get demolished to make way for a larger kitchen. We saw the beloved Court of Angels courtyard get closed off to the paying public, walled off behind “stained glass” gates to serve 33 members only. 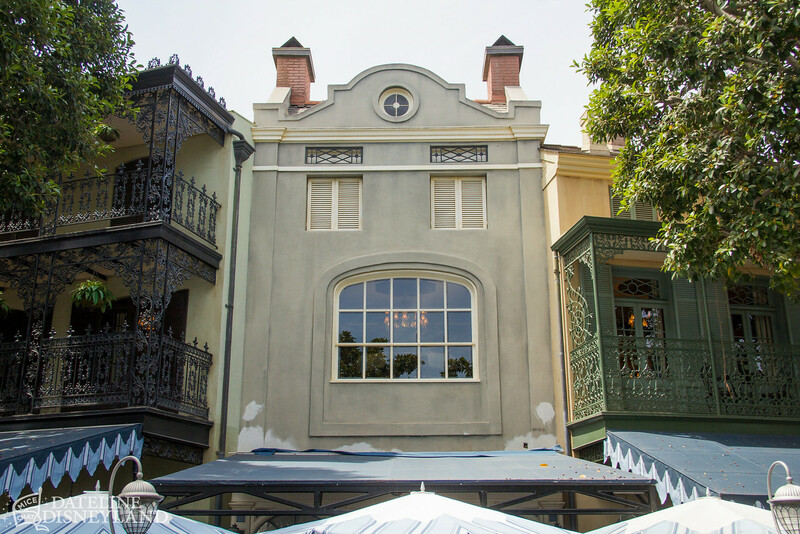 We saw significant changes to the exteriors in New Orleans Square, too, from noticeably off-centered, clumsy and out-of-scale windows to Art Nouveau flourishes that make no thematic or historical sense. 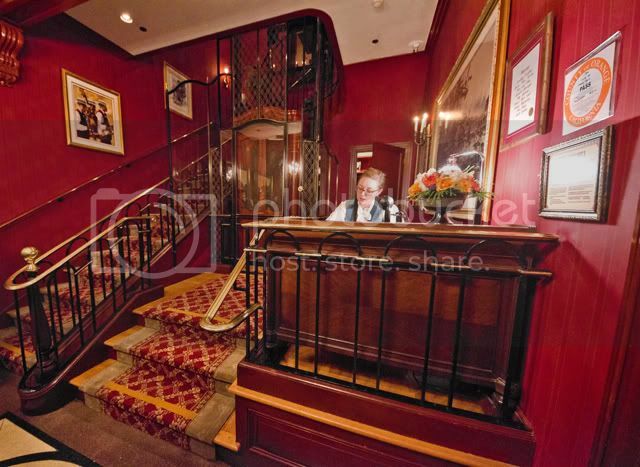 In the understandable effort to double capacity (and increase profits) with Club 33 members, unfortunately the new space is now largely unrecognizable, wiped clean of its history, charm and personal touches by Walt Disney. All these changes combined, not to mention the loss of the Disney Gallery space above Pirates a few years ago for a posh and largely unused Dream Suite, it’s a very tough pill to swallow for this Disney fan. It’s a sad situation when profit and capacity come at the expense of what made the club special in the first place. I fear this is a sign of more history-cleansing to come. Then, over in Orlando, fans exploded when Disney Parks Chairman Tom Staggs confirmed rumors that Maelstrom, the quirky 80s-era boat ride in the Norway pavilion at Epcot, would soon close to make way for a Frozen attraction (an announcement delivered in a rather smug and ballsy way, I might add, with Staggs citing a tired Walt quote “Disneyland will never be completed” in an apparent effort to justify the decision and silence dissent). The hashtag #savemaelstrom has been shared on social media thousands of times. Fan reactions vary wildly, of course, but the most often recurring comment I’ve seen is that we as fans are not against a Frozen attraction – quite the contrary actually – but rather we fail to understand why Frozen must replace Maelstrom, or, indeed, why Frozen belongs in Epcot at all. Although its buildings are sparkling clean and almost fantasy-like in their perfection, World Showcase displays the cultures of real people and real countries of the world. Surely Frozen’s fictitious Arendelle setting would work far better thematically in the fantasy-friendly Magic Kingdom, or the Walt Disney World park that desperately needs more movie-based headliner attractions, Disney’s Hollywood Studios? I would even argue that Maelstrom, a fairly short boat ride, isn’t big enough and won’t do the Frozen movie franchise justice. Not to mention its small-ish hourly capacity will create nightmarish lines when it opens sometime in early 2016 (apparently after the initial Frozen frenzy, already ebbing, will have died down). With the full understanding that petitions, letters, emails, phone calls, hashtags, etc. are useless and Disney does what Disney wants, your opinions bedamnned, I began to wonder if people are losing faith in Epcot. Indeed, I have yet to read a satisfying argument why Frozen should replace Maelstrom. It’s become very clear (and maddening) that Disney is unwilling to expand Epcot, despite having several large expansion pads at the ready. In fact, the Norway pavilion itself, which opened over 25 years ago, is the most recent expansion to World Showcase, if you can believe that, and Maelstrom is one of only TWO rides in that very large half of Epcot. Brand advocates (who insist again and again that every decision Disney makes is the right decision) insist that replacing Maelstrom with Frozen is a great decision because 1) Frozen is popular/profitable (goes without saying, duh) and, somewhat in self-defeat, 2) Epcot as a concept is dead anyway. A point I strongly disagree with. This is Disney, after all, the company that set the golden standard for themed design and set a high bar for what a theme park can and should be. What followed greatly surpassed my expectations as the tweets started flooding in, each with a thoughtful take on how EPCOT has created meaning to people over the last 32-ish years. Please take the time to scroll down and read some of them, as together they form a truly remarkable and powerful statement. #BelieveInEpcot and thank the Phoenicians. 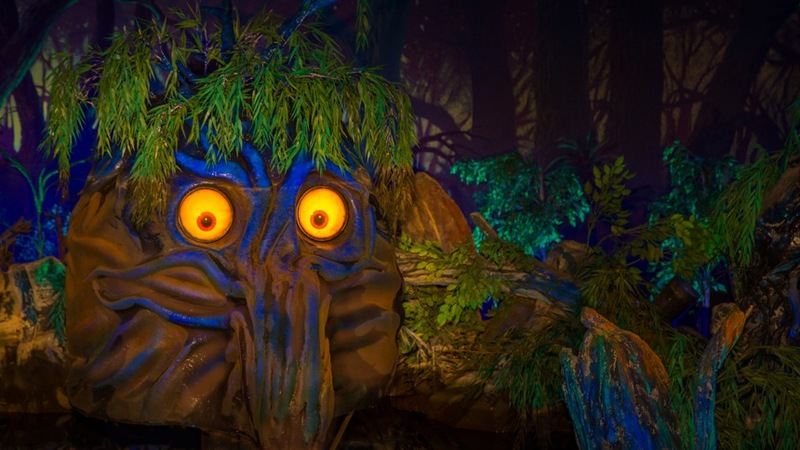 Of course #BelieveInEpcot, because everyone turns into an 8-year-old rapt in wonder once there. I #BelieveInEpcot because education & understanding cultures inspires future teachers scientists physicians & ambassadors. Let no movies in! 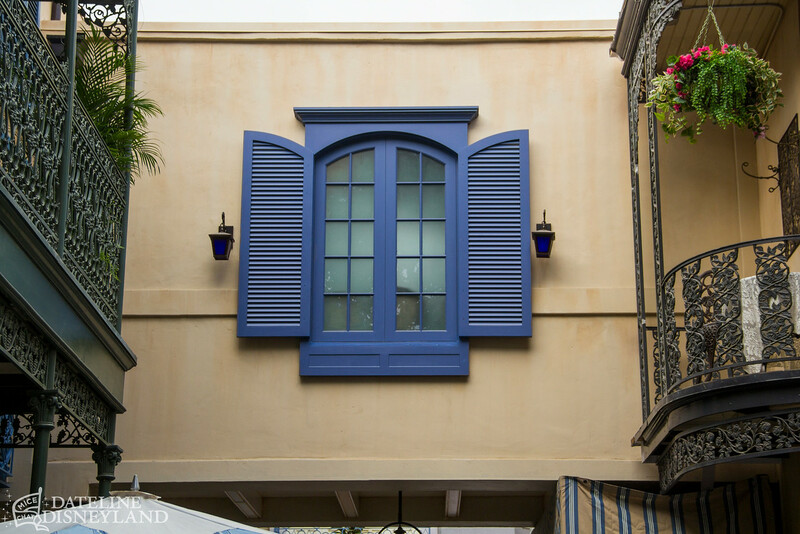 I #BelieveInEPCOT because the world needs a place to reflect on where we are going and where we have been. #BelieveInEpcot because a place where both hope for the future & appreciation of the present are celebrated is a spectacular place, indeed. I #BelieveInEPCOT because I love learning. Science, technology, communication, and culture. #BelieveInEpcot because Walt knew what he was doing. I #BelieveInEPCOT because tomorrow's world is fast approaching and is our duty to make it better for tomorrow's child. I #BelieveInEpcot because it fostered my love of science, technology and the wonders of different cultures. I #BelieveInEpcot because it proves that the real world can be just as – if not more – exciting as any fantasy world that Disney can create. I #BelieveInEPCOT because it taught me that learning can be fun. I would have never become a history teacher without EPCOT Center. I #BelieveInEPCOT because it led to my career and a life full of curiosity. I #BelieveInEpcot because I have endless optimism for the future. I #BelieveInEPCOT because our journey on this Spaceship Earth is far from over. I #BelieveInEpcot because it isn't just Magic Kingdom South. It entertains while it simultaneously educates and inspires. I #BelieveInEpcot because I believe in the indomitable spirit of mankind. EPCOT taught me the value of dreams and creation. #BelieveInEpcot because it celebrates & showcases so much of what was and is great in this world. I #BelieveinEpcot because EPCOT believed in me. #BelieveInEpcot because I saw all the endings to Horizons and they’re all amazing. I #BelieveinEpcot not because of what it is, but what it stands for. I #BelieveInEpcot because Spaceship Earth and Figment inspired me. And I could go from England to Japan in 10 minutes (roughly). I #BelieveInEpcot because it introduced me to the beauty of space, progress, culture and the "journey into imagination." I #BelieveInEpcot because it showcases the wonders of what the mind can do for the world and vice-versa. All it takes is one little spark! Heartening to see a trending topic in #BelieveInEpcot. I sincerely hope Epcot can be reinvigorated as the inspirational place of its design. I #BelieveInEpcot because I am not afraid to educate through fun and wonder. I #BelieveInEPCOT because it has the power to inspire people of all ages and all backgrounds. I #BelieveInEpcot because, like Walt and so many imagineers, I believe in a great big beautiful tomorrow, and Epcot helps me believe. I #BelieveInEpcot because it aimed to inspire, educate, and enlighten us about our world and the hope for our future. I #BelieveInEPCOT because it changed my perceptions of what a "theme park" could be. It expanded my horizons, educated and challenged me. I #BelieveInEpcot because science and imagination should go hand in hand. I #BelieveInEpcot because it celebrated the future through a vision of what was to come and learning from what already came to pass. I #BelieveinEpcot because a thirst for knowledge is admirable and imagination and drive can turn dreamers into visionaries. I #BelieveInEPCOT because it opened my eyes to an underlying truth: we are all here on Spaceship Earth. So let’s do this together. #BelieveInEpcot because it's as important to keep learning as it is to keep breathing. Thank you so, so much to everyone who participated. It’s clear that many, many people still beleve in EPCOT. Do you believe in EPCOT? I want to hear what you have to say! Leave a comment in the space below, or tweet a message with the hashtag #BelieveInEpcot.